Bengay is a topical pain reliever used to treat minor aches and pains. Drugs.com states that this topical analgesic is effective for muscle and joint pains associated with a backache, arthritis, strains, sprains and bruises. It should not be applied to open wounds or broken skin. It should also not be used with a heating pad or under a tight bandage. Bengay comes in several formulas created to treat specific pains. Some types of Bengay cream are made with menthol as the single active ingredient. Other types of Bengay creams contain menthol and another active ingredient to supply pain relief. 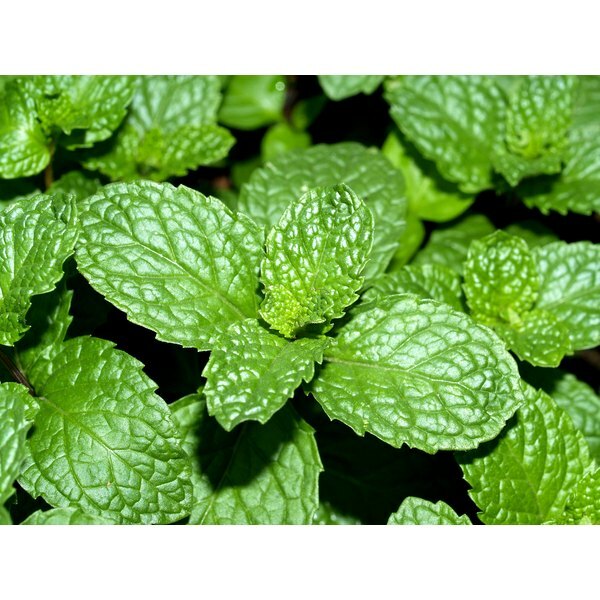 Menthol penetrates the skin to create a cooling sensation, effective for temporarily relieving pain. Methyl salicylate is combined with menthol in some types of Bengay, such as Original, Muscle Pain and Arthritis Extra strength. Both ingredients are derived from plants such as peppermint and wintergreen. The National Institutes of Health warns that methyl salicylate in high doses can lead to death. The compound works in a similar method as aspirin to provide pain relief. Overdose symptoms can include nausea, dizziness, hallucinations, diffulty breathing and convulsions. Camphor is one additional active ingredient added to Bengay Muscle Pain and Ultra Strength creams. RxList.com suggests that camphor can stimulate nerve endings to relieve topical sensations like pain and itching.